Add all ingredients to a bowl and mix them well. Wash your hair with shampoo or cleanse it then add the mixture to your hair. Leave it for 15 minutes and rinse it thoroughly. Beer restores damaged hair, gives it body and shine, make it thick and strong. Coconut oil moisturizes, nourishes your hair, prevents breakage, fights dandruff and split ends and makes your hair shine. Egg increases oxygen supply, improves blood circulation, fight dandruff, makes your hair moisturized and shiny. The mask consistency is liquid, make sure you do not mess around while applying it. It’s a protein treatment and should be applied once a month (for healthy hair) and twice a month (if you have protein unbalance). Mix the oats with the olive in a blender to avoid flakes in your hair. 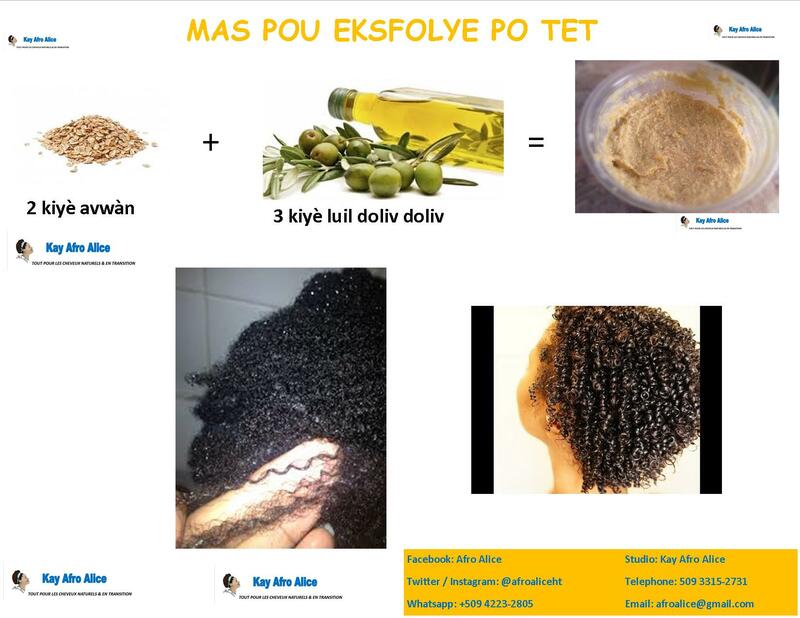 Apply the mixture to your hair scalp. Massage it in for two minutes and leave it for 15 minutes. Shampoo/cleanse and condition your hair afterward. Olive oil moisturizes and nourishes your hair and makes it shine. Oats is a great protein and fiber source for your hair and exfoliates the scalp. 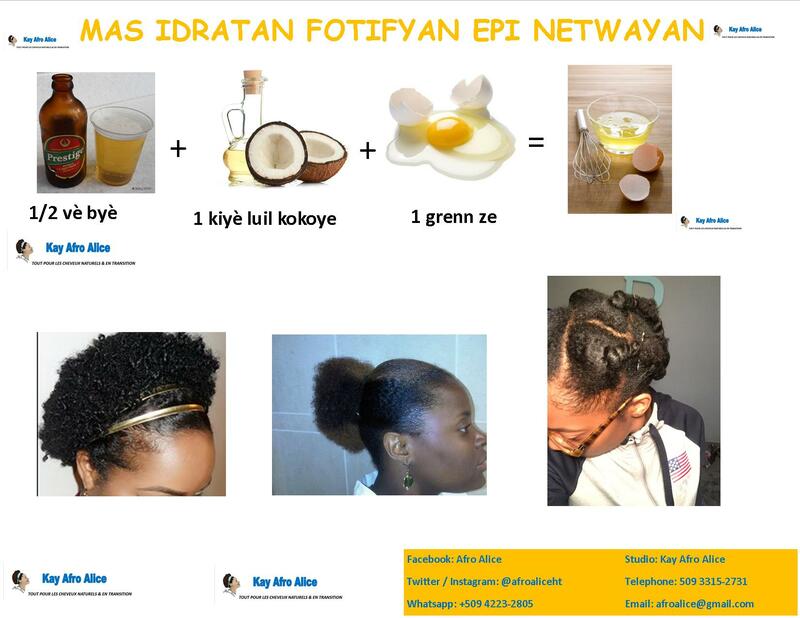 Any transitioning, permed or natural hair individual can use that recipe.